January 26, 2019 January 26, 2019 Molly G.
Eirene is a rich merchant’s daughter. 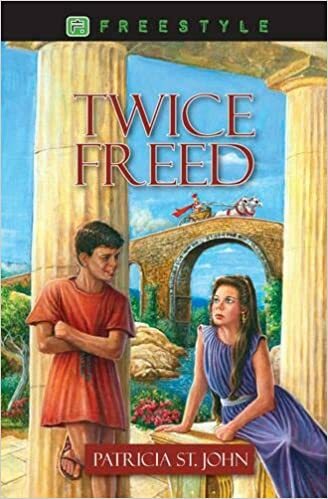 Onesimus longs to gain his freedom and Eirene’s love. However, he doesn’t realize where true freedom lies. He wants nothing to do with Jesus Christ. His master, Philemon, may follow the teachings of the Christ and his apostle Paul… but Onesimus has other plans. This is a great book! My mom read it aloud to my siblings and I several years ago, and are currently in the middle of it again! The story, based off of the book of Philemon in the Bible, follows the life of Onesimus, Philemon’s slave. You can find Twice Freed here! *NOTE* Post may contain affiliate links; if you buy, I may receive money, with NO additional cost to you whatsoever. Thank you.